My, my! Miss Mindy has perfectly captured villainous vixen Ursula from The Little Mermaid with her two sneaky henchmen, Flotsam and Jetsam. 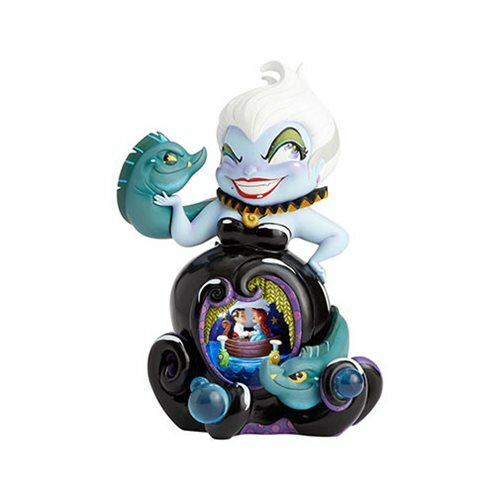 Ursula's tentacles encapsulate a light-up depiction of Ariel and Prince Eric from the musical number "Kiss the Girl" in this Disney The World of Miss Mindy Little Mermaid Deluxe Ursula Statue that's made of polyresin and calcium carbonate and measures approximately 9 9/10-inches tall.